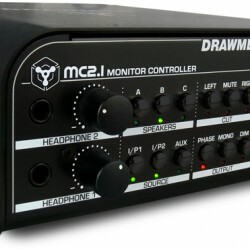 It is imperative that what you record is exactly what you hear – this is the philosophy that is at the heart of the design of the MC2.1 Monitor Controller. 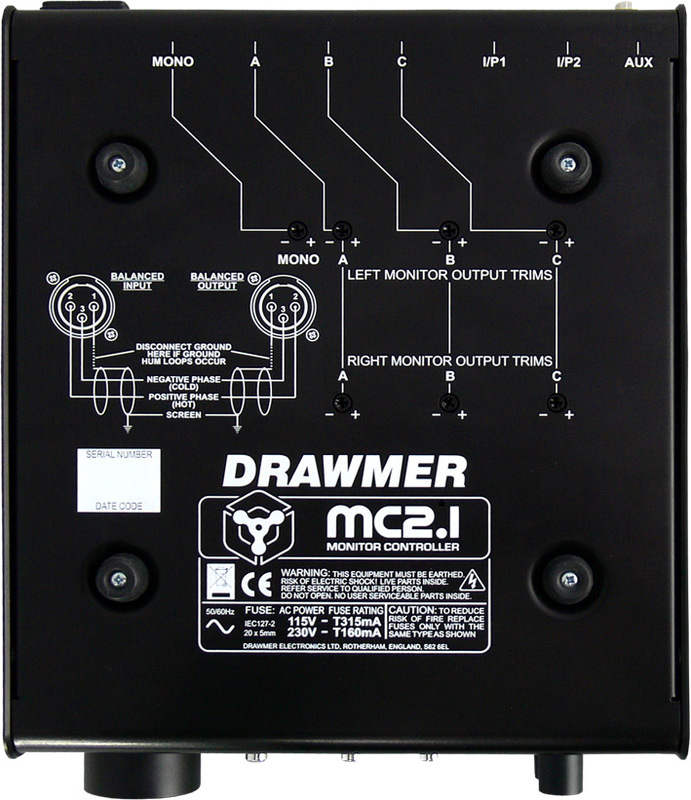 The MC2.1 combines the complexity of a host of mix checking features with the clarity, fidelity and transparency of the highest quality monitoring circuit. 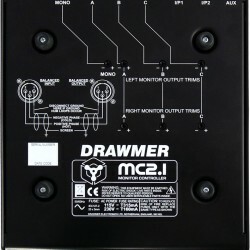 It is versatile, and intuitive, but above all, where the Drawmer MC2.1 excels is in it’s accuracy and ability to faithfully reproduce what has been recorded. Add to this multiple inputs and outputs,including dedicated mono output, speaker level matching, two headphone amplifiers, mix checking controls, plus talkback, and the result is an engineers tool that your hearing can trust. 3 stereo balanced speaker outputs on XLRs, plus a dedicated mono speaker/sub-woofer output. All have individual left & right trims under the unit to provide complete control over level matching. Paralleled custom quad pots on main and headphone level controls for excellent channel matching and smooth feel. 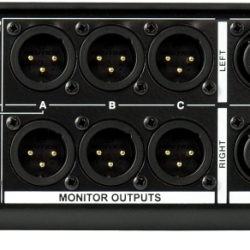 Four inputs including balanced Neutrik XLR, balanced Neutrik XLRlJACK COMBI, and shared aux phono or 3.5mm jack. Rugged steel chassis and stylish brushed aluminum cover. Dimensions: L 250mm x W 210mm x H 82mm. Weight: 2.5kg. 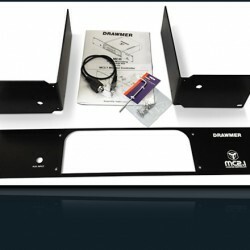 Designed and manufactured @ Drawmer U.K. 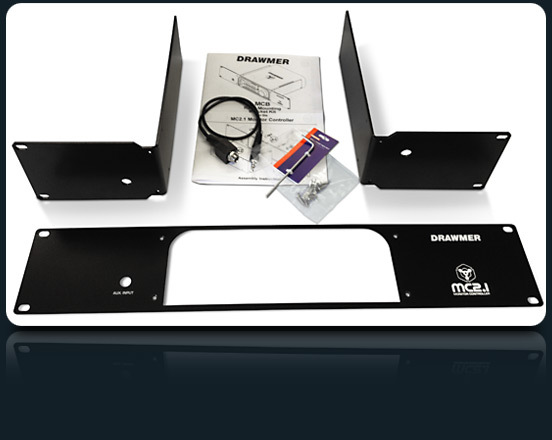 Optional MCB Rack Mount kit now available!